Dubai, UAE (November 24, 2018) — Dubai has once again reasserted its dominance in the national chess scene after sweeping the titles in the 2018 UAE Men’s and Women’s Team Championships, which concluded with the final round of matches on Friday. It was the second straight year for Dubai Chess and Culture Club to win both elite championships, sealing the club’s stronghold in team competitions in the UAE. The players and the board of directors of the Dubai Chess and Culture Club dedicated the impressive back-to-back championships to His Highness Sheikh Hamdan Bin Mohammed Bin Rashid Al Maktoum, Crown Prince of Dubai and Chairman of the Dubai Sports Council, and His Highness Sheikh Hamdan Bin Rashid Al Maktoum. 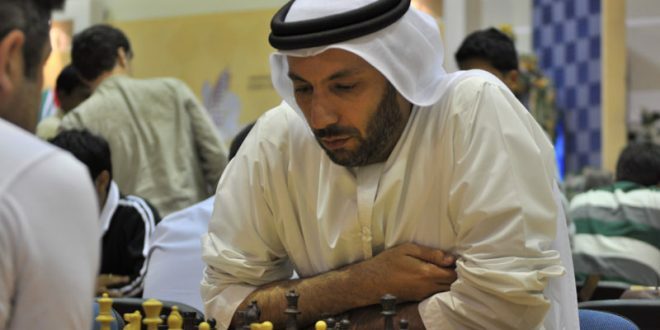 The men’s team completed the competition with seven points, finishing ahead of second-placed Sharjah Chess and Culture Club, which had six points. The women’s team, with Woman International Master (WIM) Amna Nouman at the helm, scored a masterful 3-1 victory over Sharjah in the final round to bring home the crown with 10 points, relegating Al Ain Culture and Chess Club to second with eight points and Sharjah to third with four points. 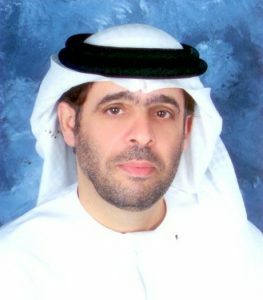 Ibrahim Al Bannai, chairman of the Dubai Chess and Culture Club, praised the achievements of the players in the championship, underlining the importance of the long hours of preparation and hard work the players and the coaching and administrative support groups have devoted for this key event in the UAE chess calendar. While it was another powerful finish amid strong competition from the other clubs, Al Bannai said there is still plenty of room for improvement as he also conveyed his confidence in the capabilities of the club’s players and coaches to consistently deliver the coveted championships for Dubai. Ahmed Khalifa Al-Thani, vice-president of the club, said the players have displayed admirable resilience and exceptional team effort in realising their ultimate goal, while also crediting the important contributions of the club’s administrative and technical staff. 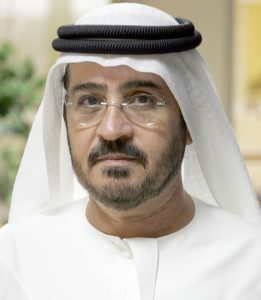 He said the board of directors had been confident all along that the club was fielding the best team possible to the championship, while also reaffirming the club’s continued support to Dubai’s top players in their campaign in the Arab, Asian and other international competitions. Al-Thani further commended both teams for completing the rare championship sweep without conceding a single defeat to any of the other competing clubs. Najib Mohammed Saleh, technical director of the club, said that this season’s league championship once again showcased the skills of Dubai’s best players as they competed against the best talents from the other emirates. He said the technical and administrative staff made a good effort in keeping all players in the best condition in each match, while noting the clutch performance of key players such as International Masters (IM) Saeed Ishaq and Ibrahim Sultan and WIM Amna Nouman. Other members of the teams are Fide Masters (FM) Othman Mousa and Ahmed Fareed, Ali Abdel Aziz and Salem Ahmed El Kaabi for the men’s side and Woman Candidate Master (WCM) Bashayer Khalil Ashkany, Maryam Issa, Shaima Noman El Ali and Yasmin Ali for the women’s side. 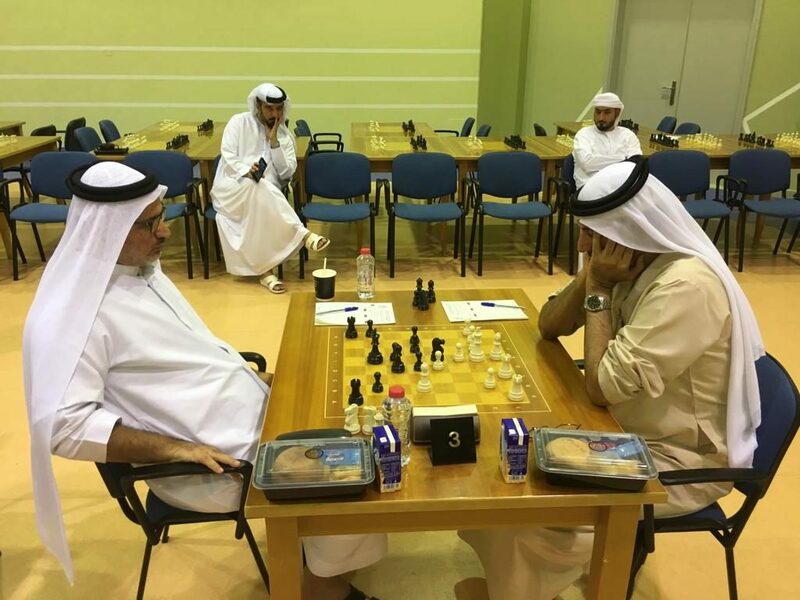 The tournament was organised by the UAE Chess Federation in cooperation with the different state-sponsored clubs: Abu Dhabi Chess and Culture Club, Al Ain Culture and Chess Club, Dubai Chess and Culture Club, Sharjah Chess Cultural Club and Fujairah Chess and Culture Club.